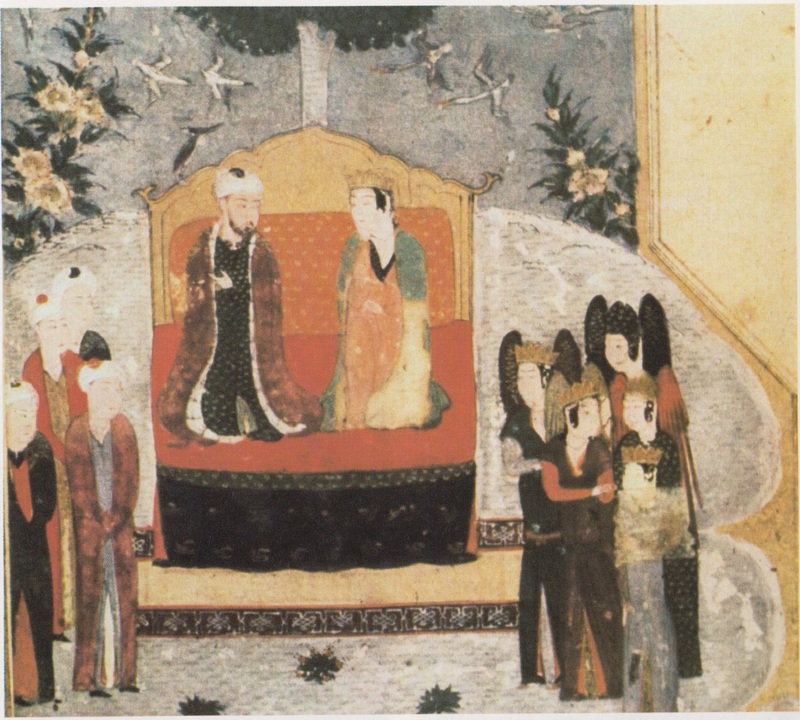 Persian painting of King Solomon and the Queen of Sheba, from the poems of Farid al-Din Attar, 1472. Yemen is the location of the ancient kingdom of Sheba, whose Queen is mentioned in both the Bible and the Qu’ran as having visited King Solomon. In the Bible, he tested her with hard questions, which some commenters believe were riddles. In Islam, Solomon wished to know whether she and her people worshipped God – Allah – or the sun. The kingdom of Sheba itself was located at Marib. Archaeologists have excavated a pre-Islamic religious sanctuary, the Mahram Bilqis, which is named after her. Bilqis is the name given to her in Muslim legend, though she is not named in the Qu’ran. The sanctuary, mahram, has been associated with her since the rise of Islam in the 7th century AD. Semitic, and so is related to Hebrew and Arabic, and was part of a family of languages spoken in the five or so different kingdoms that existed in south Arabia before the rise of Islam. As a South Arabian language, it is one of the ancestors of Ge’ez, the ancient literary and religious language of Ethiopia, which was colonised by settlers from that part of Arabia. In Ethiopian legend, Solomon and the Queen of Sheba married, and the Queen later travelled to Ethiopia, where she became the founder of the Abyssinian monarchy, according to their national epic, the Kebra Nagast, or ‘Glory of Kings’. 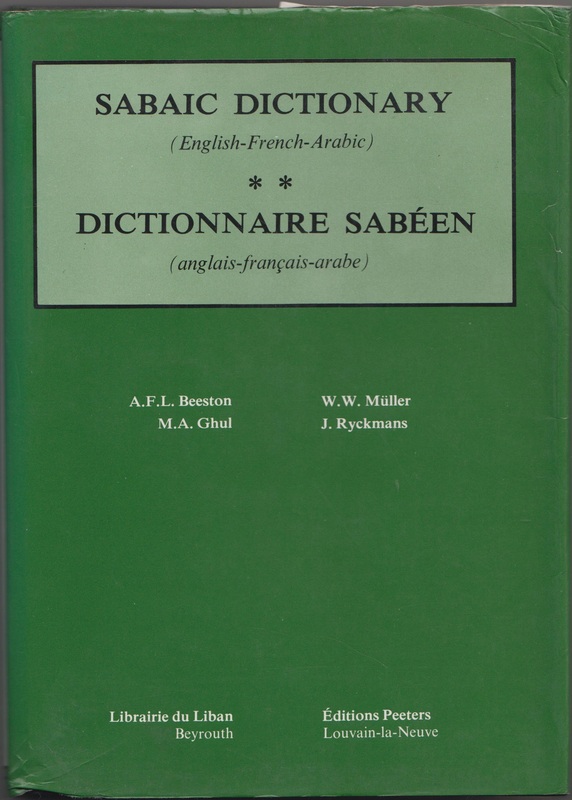 The linguistic remains have been so complete, that a dictionary of the Sabaic language, by A.F.L. Beeston, W.W. Muller, M.A. 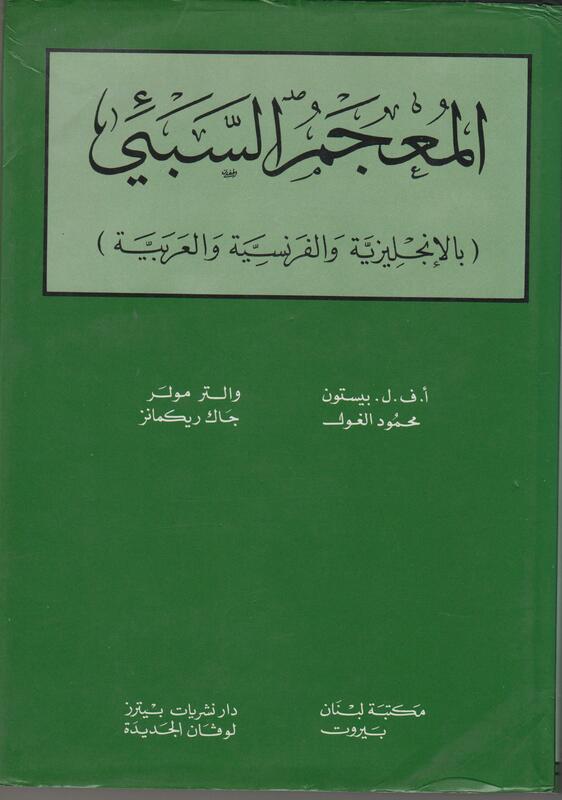 Ghul and J.Ryckmans, was published by the University of Sanaa in Yemen in 1982. Here’s a short list of some words from that ancient tongue. As a Semitic language, like ancient Hebrew and Arabic, on the consonants were written, so the actual pronunciation is unclear. My fear is that the war in Syria will lead to the destruction of Yemen’s ancient monuments and its invaluable archaeological remains, either through ordinary military action, or a deliberate act of destruction by ISIS. Daesh have done their best to destroy the ancient pre-Islamic heritage of the other nations they’ve taken over, in part of Iraq and Syria, as well as the religious shrines, monuments and mosques of Muslims they judge to be of the ‘wrong’ faith, like the Shi’a and ordinary, moderate Muslims. Quite apart from the horrors and death inflicted on the Yemeni people themselves in this conflict. Remember, the civilian casualties in the Saudi drone strikes, aided by America, are 50% +. The Yemeni people have a brilliant, fascinating past, and like its people, it needs to be protected.